Some of you in the industry have probably heard the term Google AMP (or just simply AMP) being thrown around. For others, this will be the first time you’ve heard of it. Either way, it’s time to learn a little more. 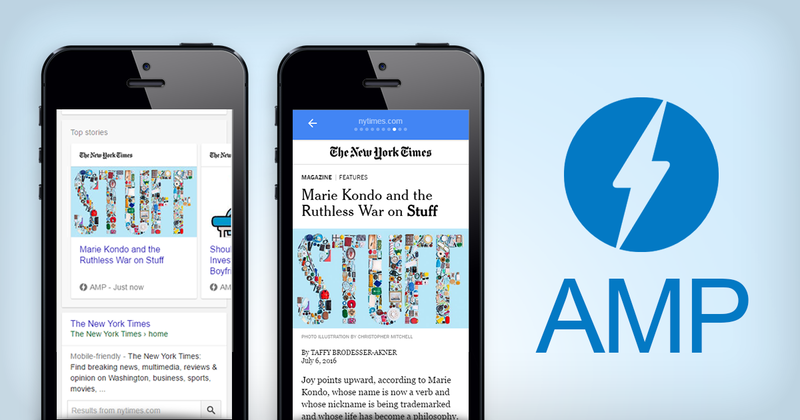 AMP enables faster page loads on mobile devices. The AMP project is being spearheaded by Google and stands for “Accelerated Mobile Pages.” True to its name, the new AMP standard delivers superfast-loading, mobile-only pages. The AMP Project is very similar to what Facebook is doing with Instant Articles, but that is the topic for another post. The main concern with AMP, from a lead generation/conversion perspective, is the lack of support for 3rd party scripts and form limitations. You can’t, for instance, track leads in your Marketing Automation / Content Marketing / Inbound Marketing Platform(s), and/or CRM, if you’re using AMP. Your tracking abilities are limited to Google Analytics (this is a Google project after all). AMP also doesn’t allow for any sort of in-page lead conversion (forms), so users will have to be directed via button or link to a non-AMP pages for conversion. Redirecting users isn’t generally a good idea so this could hurt mobile conversions. Should you “upgrade” to AMP? As with most new technologies, I think it’s best if you really think about your goals before deciding whether to go with AMP (or not). If you’re just trying to get your content out there, AMP is a great technology. It’s perfect for speeding delivery of blog posts and news articles on mobile traffic-heavy sites. However, if your main goal is lead generation/conversion, you may want to explore other options or proceed cautiously.